Kobe Bryant and Lionel Messi have always been world beater, and it's no different on Adweek and YouTube's Ads Leaderboard for December. 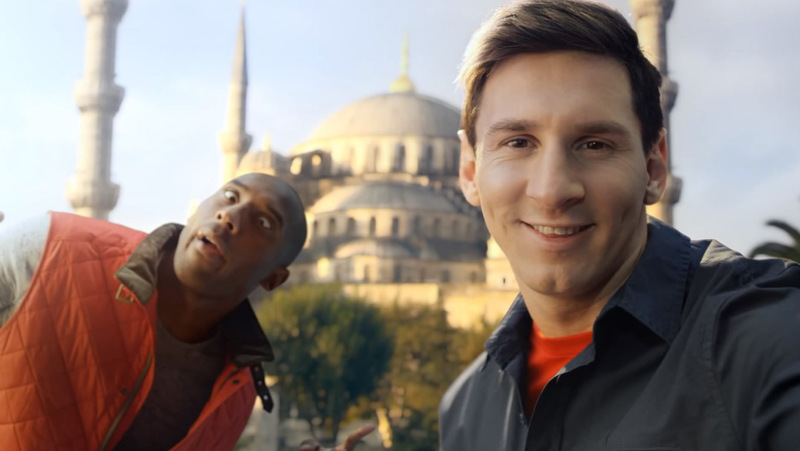 Teaming up for a sequel to their staggeringly successful Turkish Airlines spot from December 2012, the basketball and soccer stars produced a spot, "The Selfie Shootout," that managed to beat the original—136 million views, vs. 107 million for "Legends on Board." Elsewhere on the December list: New York creative shop Barton F. Graf 9000 makes its Ads Leaderboard debut with a video-game spot; Heineken, Kmart and (somehow) Olive Garden scored with holiday-themed spots; and Beats by Dre and Kellogg's Special K also make appearances. To be eligible for the YouTube Ads Leaderboard, videos must be marked as ads on YouTube (i.e., they get some paid views) but must also earn significant organic views. WestJet's "Christmas Miracle" spot, which got almost 35 million views, was not eligible because it did not get any paid views. —To be eligible, videos must be marked as ads on YouTube (i.e., they get some paid views) but must also earn significant organic views.